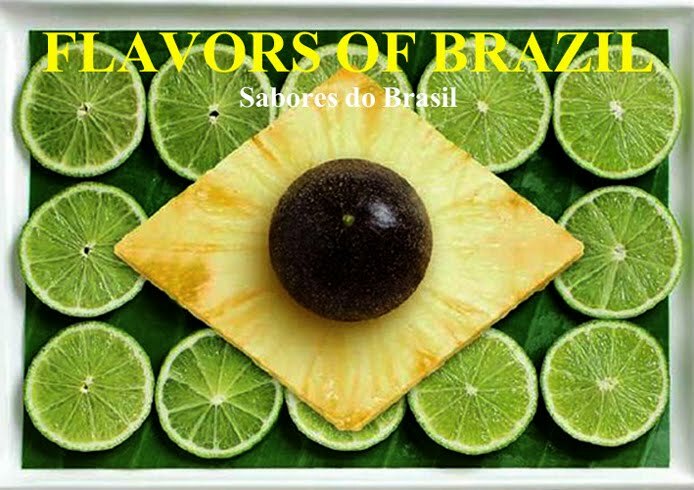 Flavors of Brazil: Happy National Coffee Day, Brazil! 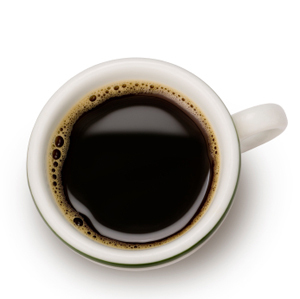 Happy National Coffee Day, Brazil! Considering the fact that Brazilians don't drink coffee in large cups, the number of cups of coffee served annually in Brazil must be astronomical. Brazilian coffee is served in a standard coffee cup at breakfast and in tiny, tiny plastic cups (for a drink called cafezinho) throughout the day. There's a lot of talk in the media these days about Brazil's current rise to the top level of the world's energy producers. What a lot of people must not realize is that the energy they're talking about is caffeine! Incidentally, Brazil isn't just the champion in coffee drinking. It's also the world's largest coffee-producing country - by a long shot. According to Bloomberg, for the 2010-2011 season, Brazil produced 54,500,000 million bags of coffee. At 60 kg/132 lb per bag, that's about 3.5 million tons. 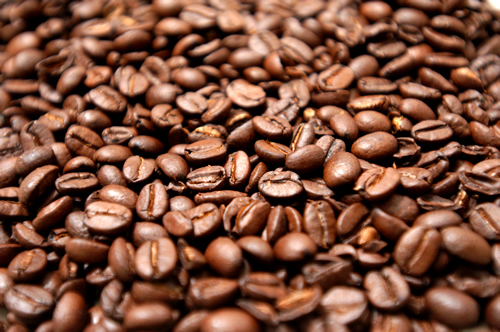 The second largest coffee-producing nation, Vietnam, produced only about a third as much. So tip your coffee cup and raise a toast to coffee-loving Brazilians. Hi, I am so happy I found your blog randomly today. I am american, my husband and I, he's Brazilian, have been living in Curitiba for a year and a half. I have been a mess trying to find ingredients here. I found your blog because I was trying to figure out what Creme de Leite was equivalent to. Your info is really detailed its great! I was wondering, you include jalapenos in your recipes but where do you find them? I have searched everywhere here and no one ever even know what they are.. I found some imported, for 12 bucks pickled in a little jar but they weren't very good. Also do you know were to find tomatillos? I have checked at our Mercado Municipal but with no luck. Thanks for the nice comment, and have fun exploring the world of Brazilian cuisine in Curitiba. The reason I write jalapenos in recipes is that most of the blog's readers live in North America or Europe, not in Brazil, and jalapeno is a chili they are likely to find in the supermarket. As I wrote somewhere in the blog a while back, chili varieties and naming conventions are very local, so it's impossible to be precise in recipes. In most cases where I put jalapenos in a recipe on the blog, I would use something that in Fortaleza we call pimenta de cheiro - it might be different in Curitiba. In any case, you want a chile with some bite but not screamingly hot and with strong chile flavor. Like you, I've never seen a tomatillo in Brazil. I love making tomatillo salsa but have struck out finding tomatillos. I think maybe they just don't exist. I love your blog, everytime I need to know the gringo point view about Brazilian cuisine I come here, it's so useful and I always recommend it, I will add you to my blogroll if you don't mind (www.goingtobrasil.com).Cheers! Làm sao có thể mua đồ mỹ hay order hàng mỹ tại Việt nam? Đừng lo đã có giao nhận 247 chúng tôi. Với kinh nghiệm lâu năm trong lĩnh vực chuyển hàng từ nước ngoài về Việt Nam và Việt Nam đi các nước khác. Khi bạn đến với chúng tôi, bạn sẽ được tư vấn giải đáp những thắc mắc về mà bạn thắc mắc khi mua hàng ở nước ngoài. Một số dịch vụ tiêu biểu chúng tôi đang cung cấp như: chuyển hàng từ Đài Loan về Việt Nam, ship hàng Úc về Việt Nam, ship hàng từ Nhật về Việt Nam, mua hàng online Hàn Quốc, gửi hàng từ Pháp về Việt Nam hay là vận chuyển hàng đi Campuchia. Hãy liên hệ với chúng tôi khi bạn cần chuyển hàng từ nước ngoài về hay là từ Việt Nam đi nước ngoài nhé.